Electra Signs Regina branch Prairie Sign was pleased to work with Hillberg & Berk and help with their branding awareness of their new location. The sign features internally and environmentally friendly LED (light-emitting diode) creating a small ECO friendly footprint. It was very important that the signs be clean and readable so a classic halo illuminated sign was designed and installed which gives the store a further look of sophistication and style. About: Hillberg & Berk designs luxurious, everyday jewellery for women with a keen sense of style. Our jewellery is modern yet timeless. Through Education, Inspiration and Opportunity, We are women empowering women – one sparkle at a time. 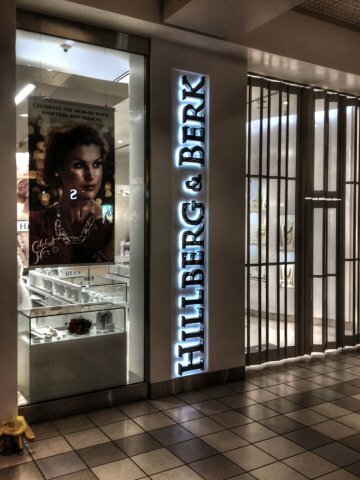 You can purchase Hillberg & Berk jewellery in the Regina showroom; at select boutiques, galleries and stores; or on the website.